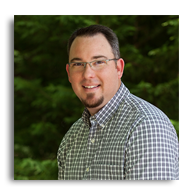 Travis Rhoads efficiently manages projects through all phases of architecture: design, construction document production, and construction. He brings a unique combination of creative and technical expertise to his projects. Clients appreciate his high attention to detail, which produces well-crafted construction documents. He meets project schedules with timely updates on project progress. His responsiveness to client needs and contractor inquiries is very effective in the thorough construction administration of his various projects. He has 14 years of design, coordination, and construction detailing experience in a variety of project types: hotel and hospitality design, single family residential, public libraries, medical and general office buildings, and retail. 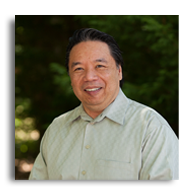 Tim Chin is responsible for strategic design and management of projects and clients. He has gained client trust by providing proven strategic planning, timely schedules, careful budgeting and value architectural documents. He brings a wealth of experience from working in both large and small architectural firms for nearly 30 years, on a wide variety of project types and sizes, including mixed-use, hospitality (full service and select service hotels), entertainment, office and retail, and multi-family high-rises. He has successfully managed as much as 300 million dollars’ worth of construction at one time. Tim maintains high professional standards with his proven quality control methods.